Woodstock is seeing juniors and seniors mingle and plan out their dates for the Junior-Senior Banquet that is coming up, on May 4th, 2019. Sophomores plan a night full of food and dancing for Woodstock’s very own prom. So in this season of love, The Woodstocker decided to find out how well these couples know each other and see if they are able to answer questions about their dates. 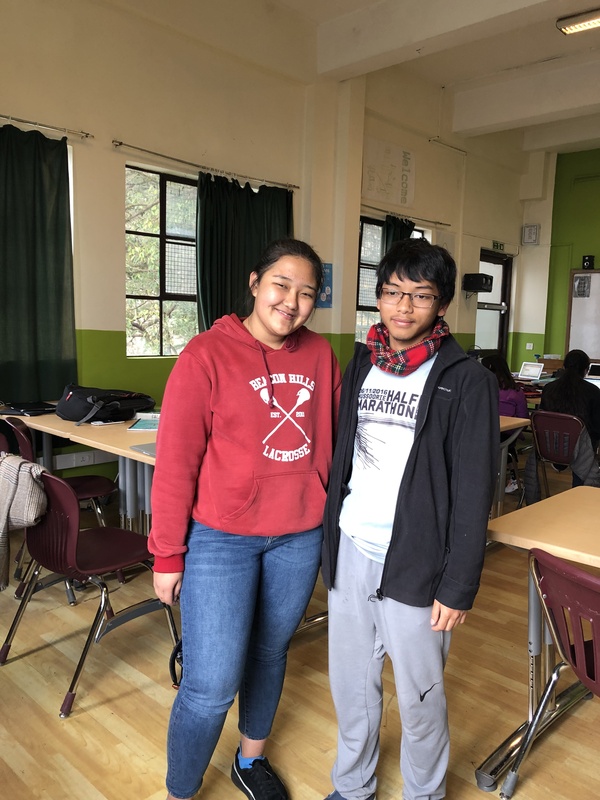 Markhamsan Lyndem and Arina Amataya, both from the Class of 2020, are friends planning on going to JSB together. Mark asked Arina to go with him. Note: This couple is not really in a relationship, and no answers were previously discussed. How well does Arina know Mark? What is Mark’s favorite sport? What is Mark best at? On a scale of 1- 10, 10 being the most, how nervous was Mark while asking Arina out? Arina: Seemed like a 7. What time does Mark usually wake up? Mark: Usually at 6 am, sometimes 7 am. How well does Mark know Arina? What is Arina’s last name? What is one thing Arina would like to eat during JSB? Mark: My guess would be honey potato. Arina: Salmon, I love seafood and that’s the only seafood you can find here. If Arina had to add one item to Mark’s everyday outfit, what would she pick? Arina: Thick gold chains or grills. Would Arina be interested in matching the color of her dress for JSB with Mark’s tie/ bowtie? What is the one thing Arina is best at? Mark: Socializing with other people. Arina: Procrastinating– If I were paid to do it, I’d be a billionaire. Mark: Somewhere in the North or Sikkim. On a scale of 1- 10, 10 being the most, how would Arina rate her closeness to Mark? Arina: A 2.5, I hope we start talking more. Priyansha Agarwal is a staff reporter.